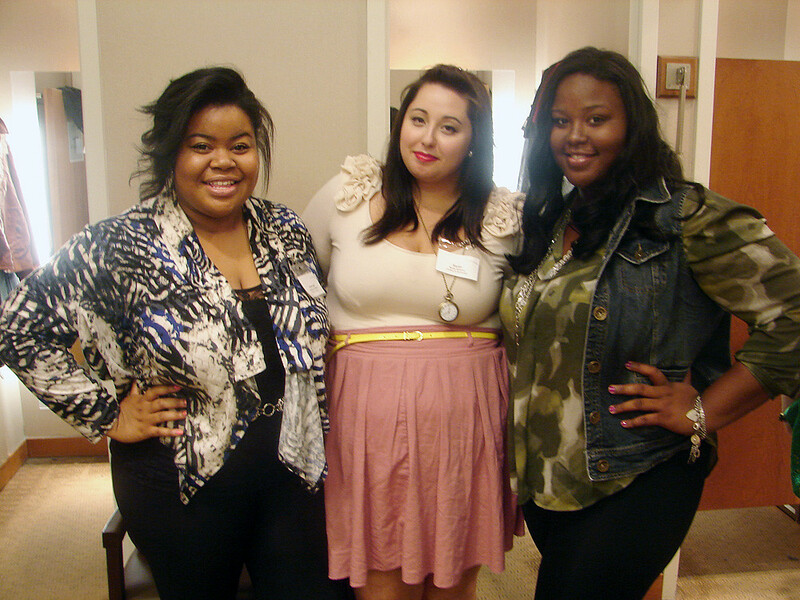 About a month ago Addition Elle held a blogger styling event and I was lucky enough to be invited to attend. I was over the moon about getting to be part of such an incredible experience but I was a bit nervous at the same time. 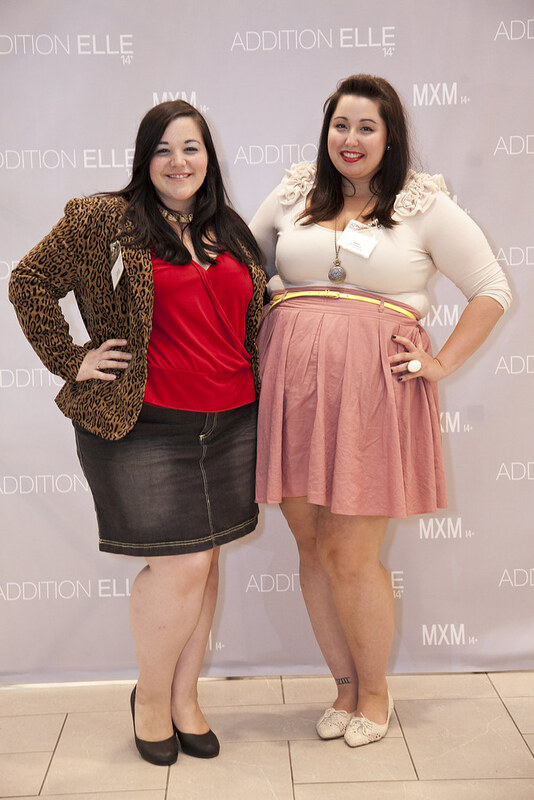 In a short week, the day arrived and I headed to Addition Elle event with fellow fashion blogger Karen (of Curvy Canadian). We were the first bloggers to arrive and we were instantly treated with the upmost respect and grace. In a few short minutes other bloggers began to arrive and I could begin to feel just how important and momentous this day would be for me. 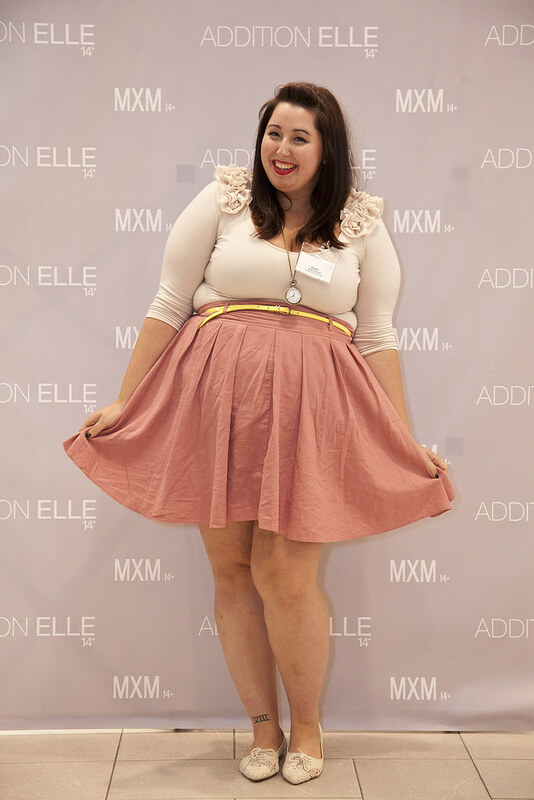 I had the pleasure of meeting other amazing, talented fashion bloggers as well as the kind and extremely sweet people behind Addition Elle and the event. I wish I could just go on and on about how much fun I had and how much I did not want the event to be over but I’ll try to refrain from making this post too long. I’ll just sum up by saying that everyone left an extremely good impression on me and I will always cherish the memories from this day. With all the being said, I did go to the event for a reason. We were set up with a model and asked to create two different looks for her to wear. I felt a bit nervous that I wasn’t going to pull off two different looks in time but after browsing and changing up outfits a few times I came up with two ensembles I’m really proud of. I felt like I wanted to create something that represented my style but still allowing others to feel like they could wear it too. I love taking something basic and giving it a bit of an edge or pairing it with something unlikely. So, after a month of impatiently waiting for the chance to share my looks with you I’m so glad to finally premiere them. Addition Elle now has them as well as the other gorgeous outfits put together by my fellow fashion bloggers here. Please make sure to vote for your favourite outfits and be entered for a chance to win $150 to shop at Addition Elle (which also includes their brand new Michel Studio Line). I have to say I’m really quite impressed with what they’ve come out with but I’ll get into that in a later post. 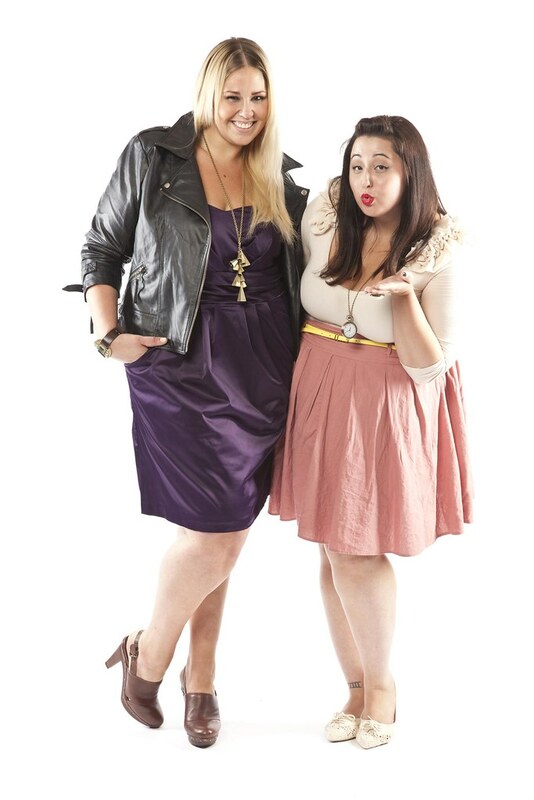 click here for to vote for the blogger styling contest! I have a ton of photos to share from this event and its so hard to narrow it down to just a few so I’ll just spam this post and accept that it’l be the longest one I’ll probably ever do in my blog’s history! Of course, I’ll have the ones that didn’t make the cut on my flickr. I cannot say enough just how wonderful it was to see everyone (Sasha and Garcia of Flaws of Couture , Karen of Curvy Canadian, Isabelle of La Vie C’est YeYe and Robyn of Fashionista 514, Alison of ‘Round Raglan Road , Kendall Donaldson, Kristania of Monochrome Chic and Sunny D of thatshardcore) and how excited to finally write this post. The styling contest ends on October 11th so please make sure to go over, vote and enter for your chance to win $150 (Canadian residents only). You can vote everyday too! What a Pin-Up, your Style is Meraviglioso, Amazing! I was really worried and shed lots of tears during the week of my wedding. But walking into that hall was such an amazing moment.